Steve Rossini is one of my photograper heroes. For many years he has been the official photographer of the One Lap of America automorive event. He is regularly published in magazines and sought after for his car photography wizardry. At a recent meet up of local ASMP members he said he was looking for someone to assist. So I got the gig of helping position lights, reflectors, checking if you could see this or that in the picture. I spent a lot of effort just staying out of the picture! 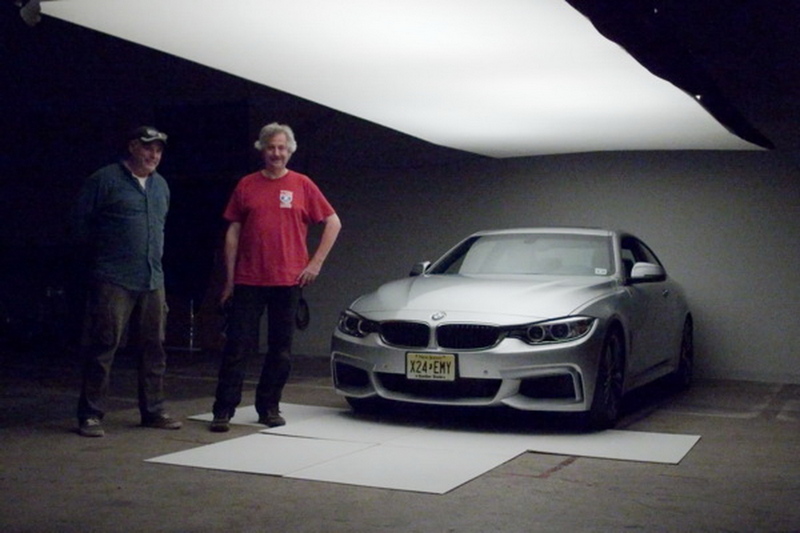 The subject of this shoot was the BMW 450i that BMW USA loaned him for this year's OLA. Yes, he is that important. He's the pasionate aficianoado when setting up the shots, and he's expert at previsualizing. He didn't spend a lot of time figuring out what would look good, had it figured out ahead of time. The mark of seasoned pro. Take some time to visit his website Highland Design Studio and check out the amazing images he creates (and order some prints!). Awesome automotive photography and nice post. Thanks for sharing with us.